Rory Ferreira says he may take legal action after a store manager refused him service and had police issue him a no-trespass order Tuesday. An African-American man from Saco said he is upset and shaken – and may pursue legal action – because a manager at the Shaw’s in Saco refused to sell him groceries and banned him from the store after he questioned the store’s enforcement of its alcohol ID policy and raised the issue of race. Although the no-trespass order was later lifted and two Shaw’s executives apologized, Rory Ferreira, 26, said the incident has made him question whether he is truly welcome in a Maine community he loves, and may be an example of implicit bias and the defensive reaction some white people have when they are confronted with issues of race and racism. The incident was first highlighted by Ferreira’s mother, Shay Stewart-Bouley, a longtime racial justice activist who runs an anti-racism nonprofit in Boston and is also the founder of a well-read blog, Black Girl in Maine. The incident Tuesday evening at the grocery store began when Ferreira was checking out with his wife and young son. In their cart was a bottle of Sake, Japanese rice wine, so the cashier asked for Ferreira’s identification, Ferreira said. But the clerk asked his wife for her ID as well, Ferreira said. It was a policy he said he’d never encountered. While his wife ran outside to the car to get her license, Ferreira said, he inquired further and the clerk at the register called a manager, who explained that the store is required to ask for ID of everyone present at the sale. It was at that point, Ferreira said, that the manager changed her tone. “She then said, ‘I don’t have to sell you alcohol. I don’t have to sell you anything,’ ” before telling the cashier to cancel his grocery sale entirely, Ferreira said. He said he watched as the manager gathered up his grocery order, ripping a paper bag. Ferreira said he was holding his 19-month-old son in his arms during the conversation, and that he remained respectful throughout the encounter. When he got home a police car was waiting for him, Ferreira said, and the officer had a no-trespass order in hand effectively banning him from the grocery store, which is within walking distance of his home. When Ferreira told his stepdad, Jeffrey Bouley, what happened, Bouley went directly to the store to talk to the manager. In a post on Stewart-Bouley’s Facebook page, Bouley wrote that when he asked why his son and daughter-in-law were denied service, the manager told him they were not denied service, they were asked for their IDs and were being disruptive. The manager resisted the suggestion that the encounter had anything to do with racism, according to Bouley’s post. Bouley said he raised his voice, and the manager called police again. When Bouley left the store the officer was waiting for him, and issued Bouley a no-trespass order. Saco police said that in situations involving a dispute on private property, officers often arrive after the fact and try to figure out what happened before they issue a notice. Saco Police Deputy Chief Jack Clements said officers usually deal with a manager, who has the prerogative to ask for a no-trespass order. After the Facebook post and calls to Shaw’s corporate office in Massachusetts, Ferreira and several of his family members, including his stepdad and mother, met Thursday with a vice president of Shaw’s and the Saco store director. Both company representatives apologized for what happened and lifted the no-trespass order. But the manager involved, Bethany (no last name provided), did not attend the meeting, Ferreira said. 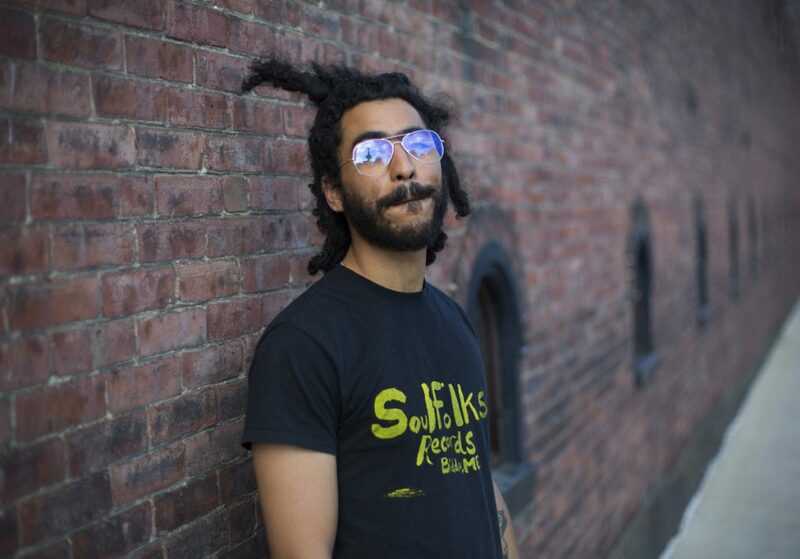 Now Ferreira, who raps under the name Milo, owns Soulfolk Records on Main Street in Biddeford and runs a record label from the store, said he is looking for an attorney and is seeking to pursue legal recourse. Shaw’s did not respond to specific questions about the incident, but issued a statement saying it is looking into it. Stewart-Bouley, who does racial bias trainings and anti-racism work as part of her nonprofit work, said that although she was not present for the exchange between her son and the manager, she believes it’s an example of how white fragility – the defensive reaction by a white person at the mere mention of race and racism because it feels like a personal indictment – led to a needless escalation, she said.